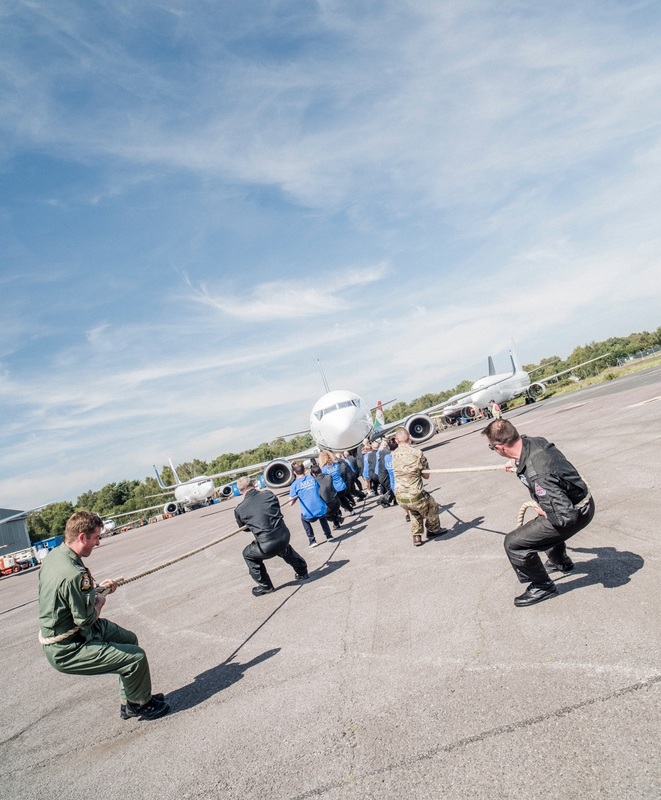 Each year, teams enter to pull a Boeing 737 weighing in at 35,000 Kg for 50 meters. Do you think you're up to the challenge? We advise 20 people in a team to complete the event. You will need to bring teamwork, communication and determination to win in this tug of war. Plus some good shoes. 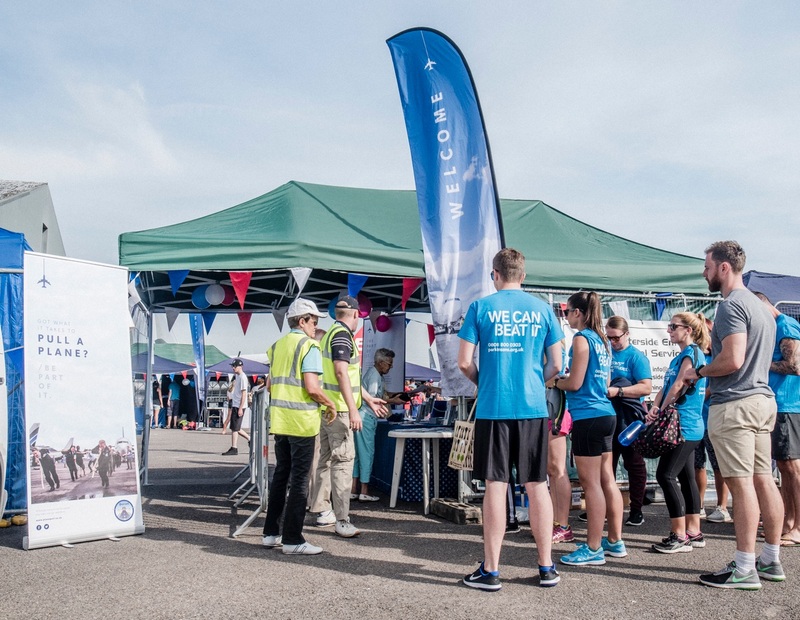 Now you've found your team of 20 you need to choose the charity you want to raise money for. Fill out the form below to contact your charity of choice. 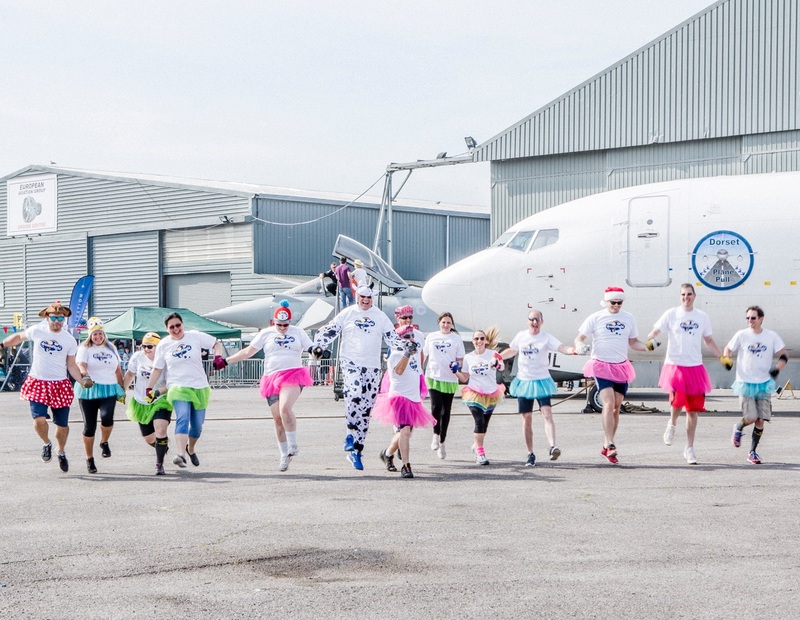 my name is and I would like to enter a team into the 2019 Dorset Plane Pull. I would like to pull a plane on behalf of — Select —Amelia's RainbowCharcot-Marie-Tooth UKDorset Cancer Care FoundationDorset Children’s FoundationDorset MindDreamflightEd Kent TrustGeorge & the Giant PledgeHampshire & Isle of Wight Air AmbulanceHome-Start HampshireHome-Start South East DorsetIsabel Baker FoundationJon Egging TrustJTYAFJulia’s HouseMacmillan Caring LocallyMNDANovaturient InternationalParkinson's UKPoole Hospital CharityRainy Day TrustretailTRUSTRose Road AssociationThe Steve Bernard Foundation (if you’re unsure who to choose, click here ). I currently have a team of out of the required 20 to pull. I understand that this request will be sent to the charity directly, and if I don’t hear anything within 14 days, I will contact the Plane Pull directly. I would like to be replied to on . Pullers will be turned away if you do not have these. Please contact your charity before the event if you have any concerns, and bring water if it's a hot day. • Set up an online fundraising page. • Set a target: you'll raise more with one. • Get your social hustle on. Both on and offline. Unsure who to pull for? Each year, we support a variety of different causes. Find out more about our partnered charities to find the one closest to your heart.